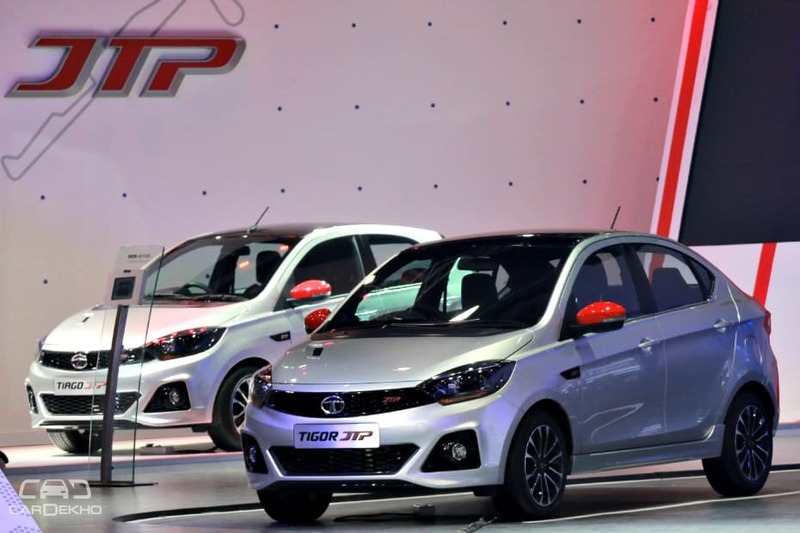 Tata Motors is all set to launch the Tiago JTP and Tigor JTP performance models on 26 October 2018. These pepped-up versions of the hatchback and the sub-4m compact sedan were first previewed at the 2018 Delhi Auto Expo in February. 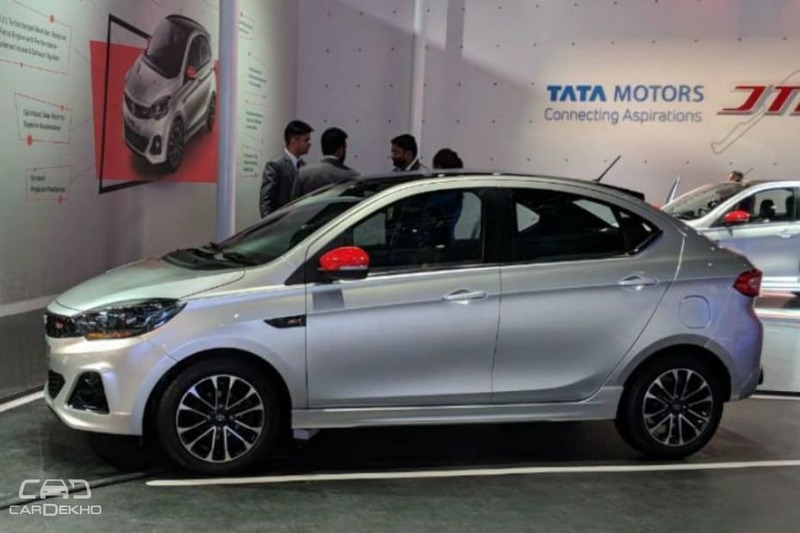 These go-fast models jointly developed by Jayem Auto and Tata Motors were shown at the Expo and share the 1.2-litre three-pot turbo-petrol engine borrowed from the Tata Nexon compact SUV. However, in their case, the petrol engine is mated to a five-speed manual gearbox instead of the six-speed transmission in the Nexon. The output of the engine will be tuned to 110PS of power and 150Nm of torque (same power as Nexon, but 20Nm less torque) with functional dual-tip exhaust. These JTP models will also get new 15-inch alloys with wider tyres, while the suspension is also expected to be readjusted for a sportier driving experience and lowered ride height. 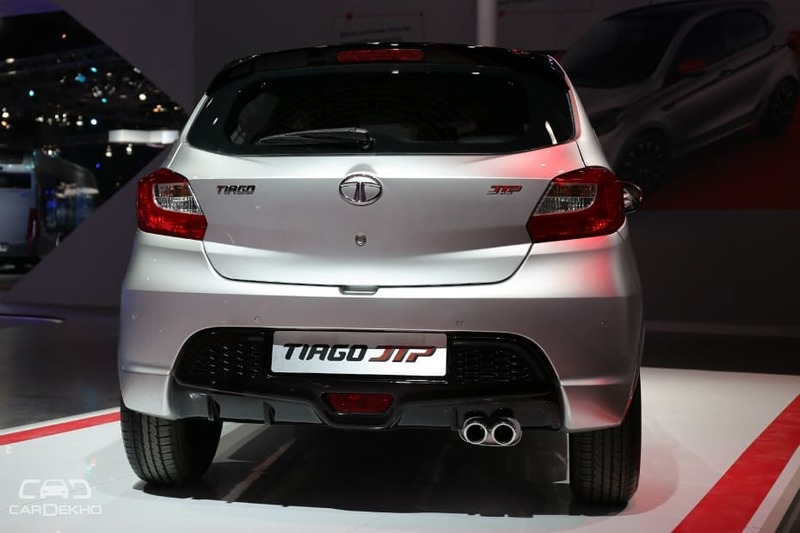 The Tiago JTP that was showcased at the Expo had a ride height of 161mm. 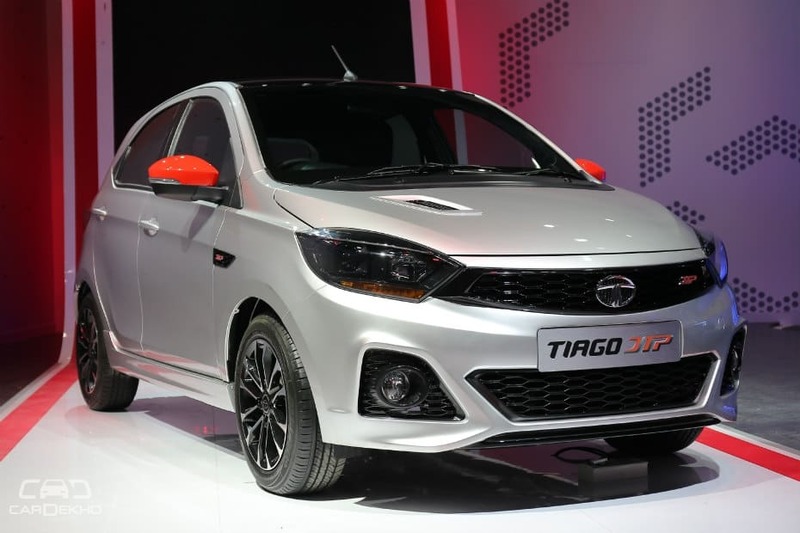 The standard Tiago with standard 13-inch wheels has a ground clearance of 165mm and on the 14-inch wheels that goes up to 170mm. In terms of dimensions, the JTP versions are expected to remain similar if not the same as the standard versions. The Tigor JTP might get the same new grille, headlamps, taillamps and shark fin antenna as seen on the Tigor facelift. However, visual distinctions for the JTP models will come in the form of contrast colour elements, probably in red, like ORVM covers, fog lamp housing, JTP badges and similar sporty design touches on the inside as well. You can read more about our first look at the Tata Tiago JTP and Tigor JTP here. 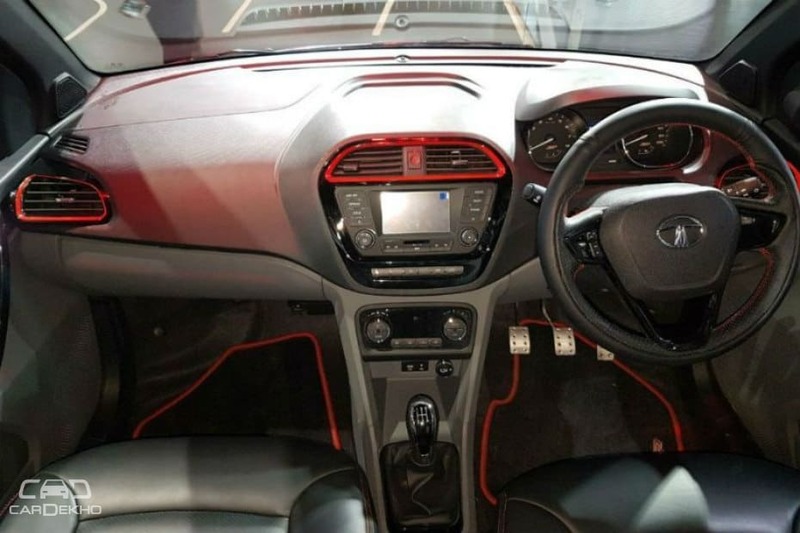 Safety features like ABS with EBD, cornering stability control and dual front airbags are likely to be offered along with the new infotainment unit seen in the updated Tata Tigor. Both the Tiago JTP and the Tigor JTP are expected to be priced at a premium of around Rs 1 lakh over the top-spec manual variant of the regular model. The top-spec manual transmission-equipped variants of the Tata Tiago and the Tigor are currently priced at Rs 5.21 lakh and Rs 6.49 lakh (ex-showroom Delhi) respectively. The current options for a petrol hatchback producing more than 100PS at a price less than Rs 10 lakh are limited to the Volkswagen Polo GT TSI (Rs 9.33 lakh), Maruti Suzuki Baleno RS (Rs 8.47 lakh) and Fiat Abarth Punto (Rs 9.67 lakh). On the other hand, the only petrol-powered sub-4m compact sedan in the sub-Rs 10 lakh price bracket, with a power output of more than 100PS is the 2018 Ford Aspire (Rs 8.49 lakh) (all prices ex-showroom Delhi).